New Orleans Saints quarterback Drew Brees tries his hand at an active Nintendo Wii game. 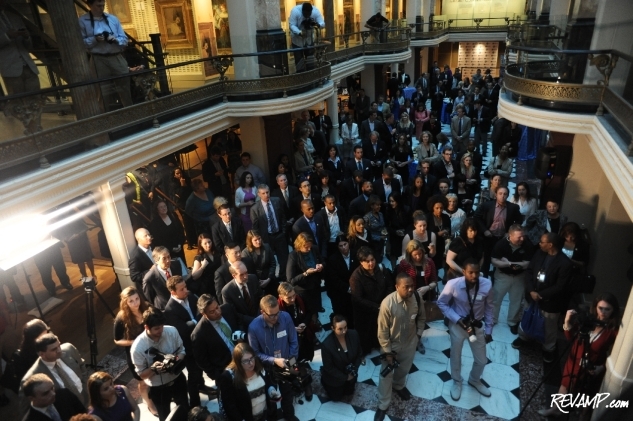 Be sure to check out all 89 of our photographs from this event HERE! PENN QUARTER -- It was, in fact, all fun and games early Monday evening, as the President's Council on Fitness, Sports & Nutrition (PCFSN) teamed with the Entertainment Software Association (ESA) to celebrate the launch of the Active Play Presidential Active Lifestyle Award (PALA+), with a reception at the Smithsonian American Art Museum. The goal of the new program is to highlight active video games as one way to help Americans lead more active lives. NFL quarterback Drew Brees throws a virtual pass. 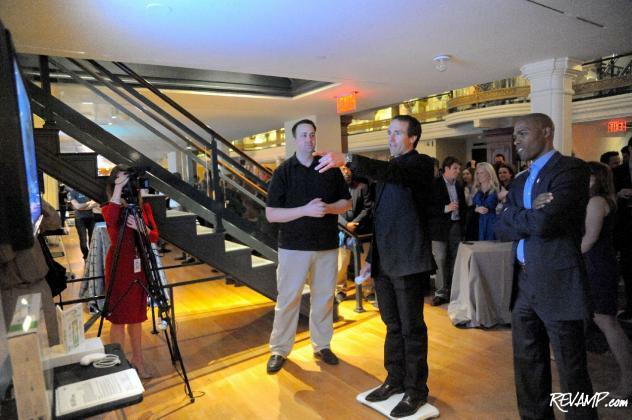 �The President�s Council and ESA recognize the need to embrace technology in the fight against childhood obesity,� said Drew Brees, PCFSN co-chair and New Orleans Saints quarterback. 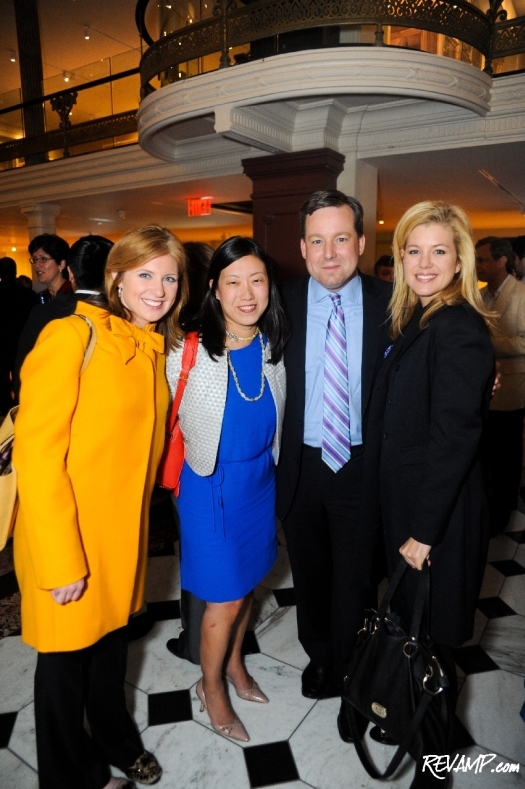 Guests at the event included Fox News senior White House correspondent Ed Henry and CNN White House correspondent Brianna Keilar, among others. Brees was joined at the event by U.S. Department of Health and Human Services Secretary Kathleen Sebelius, ESA President and CEO Mike Gallagher, and a crowd of other Council members, including former tennis pro Billie Jean King and two-time Olympic gold medalist Michelle Kwan. 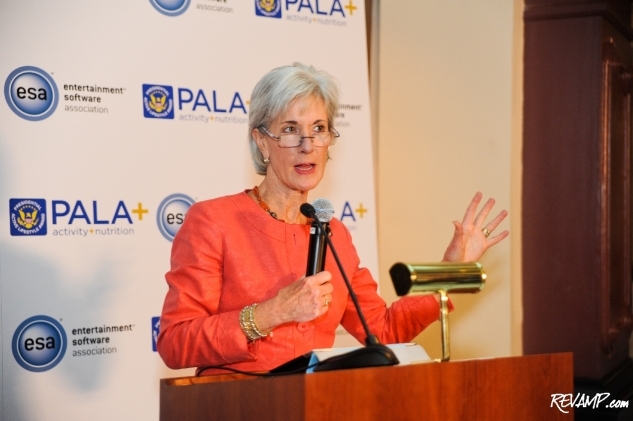 Secretary Kathleen Sebelius delivered a brief series of remarks before making an early exit. 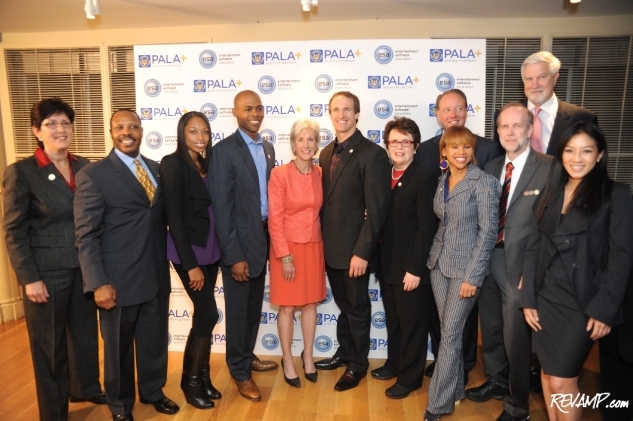 A handful of the country�s leading video game producers, including Microsoft, Electronic Arts, and Nintendo of America, created a special Active Gaming Showcase for the event, which highlighted how active video games can be used to earn a PALA+ award. The event was well situated next to the Smithsonian�s current �Art of Video Games� exhibit. Young gamers can earn a PALA+ by playing 60 minutes/day (30 minutes/day for adults) of active video games, five days a week for six out of eight weeks. An additional nutritional component to the award requires participants to incorporate a weekly healthy eating goal and build upon said goal throughout the same six-week period. Adopting a healthy lifestyle has never been more fun!